Officers throughout the state recently participated on “Operation Yellow Blitz.” It was a statewide effort to try to get drivers to be more aware of the rules of the road and to be more cautious when traveling near school buses. This is an enforcement effort that’s put on by the Massachusetts Registry of Motor Vehicles and law enforcement agencies across the state, according to Wicked Local Bedford. Our Bedford injury attorneys understand that these buses carry our children and they need all of the protection they can get. What might be more dangerous than actually riding the bus is getting on and off of it each day. When nearby drivers are not cautious at bus stops and other areas where passengers are boarding or deboarding, innocent children are injured. According to the Bedford Police Department, there were five officers in the city whose sole duty was to hunt down drivers who didn’t stop for school buses when they had their stop signs extended and their red lights flashing. If drivers were busted, they were handed a $250 fine for their first time offense. Second offenses were even more costly. 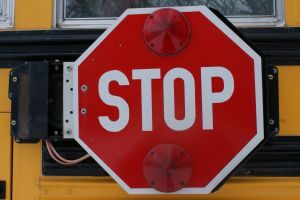 In an effort to continue this campaign, drivers are asked to stop for school buses that are displaying stop signs and flashing red lights. Stopping could help to save a child’ life. Sometimes, officers will even follow these buses to and from school just to make sure that motorists are following the rules. According to the Massachusetts Department of Transportation (MassDOT), dozens of law enforcement agencies across the state participated in this operation. It was conveniently scheduled during National School Bus Safety Week. Reports indicate that there were more than 30 motorists who were busted passing school buses illegally during this time. In every state in the country it is illegal for a driver to pass a school bus that is stopped to pick up or drop off kids. According to the National Safety Council (NSC), drivers need to continue to use caution. Make sure you slow it down when you’re driving through residential areas and through school zones. You also never pass a school bus on the right. Not only is it dangerous, but it’s illegal. You should also stay out of the area around the school bus. A good rule of thumb is to stay at least 10 feet away from all buses. Remember that traffic must stop in both directions of an undivided roadway as well. Keep a close eye out for children in these areas too, as they don’t understand the workings of traffic like you and I and are more likely to put themselves in harm’s way. You should also talk with your kids about pedestrian and school bus safety to make sure they do their part to stay safe out there, too! If you or your child has been injured in an accident, contact the Law Offices of Jeffrey S. Glassman, LLC for a free and confidential consultation to discuss your rights. Call 1-877-617-5333 today!